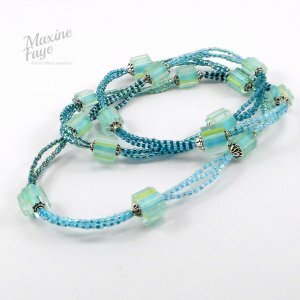 This asymmetrical design consists of handmade glass beads, Czech clear faceted rounds and assorted Czech HurriCane glass beads including cubes, hearts, shields and flat drops. This asymmetrical design is approx 55.5cm long and consists of Czech clear faceted rounds and assorted Czech HurriCane glass beads including cubes, hearts, shields and flat drops. 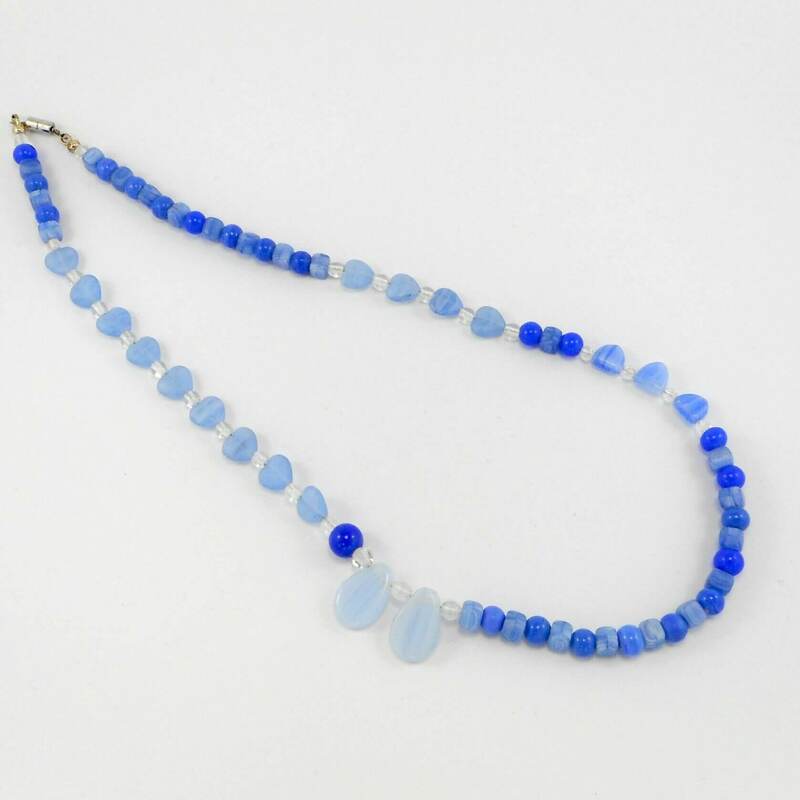 Round handmade glass beads in pale and mid blue add depth to the design. This piece is finished with a very strong small magnetic clasp and silver plated wire guardians and crimp covers provide a professional finish.